Since 1945 Termas de Chillan has earned a reputation for its incredible Chile ski terrain and phenomenal setting. It is touted as the most complete ski experience in the Andes. The landscape looks sugar-dipped and the Chile skiing is a sweet snow fantasy made real. The impressive 9,600 ft (2,926 m) Volcan Chillan dwarfs the resort and creates an undulating landscape perfect for dipping and dropping through powder puff snow. All around, the peaks of the majestic Andes Mountains pop out of the sky creating a high relief backdrop for your vacation pictures. Located approximately 6.5 hours (310 miles, 499 km) south of Santiago de Chile, the Chillan ski resort is surrounded by leaping mountains and a few small villages. The five star accommodations, the surrounding area, and of course the excellent skiing make this resort a must on any Andean ski holiday. Enjoy the 28 groomed ski trails, accessed by nine lifts, or spread your wings and heli-ski the 27,710 acres of backcountry terrain. If you are a snowboarder you will find South America’s first snowboard park here, complete with a half pipe, quarter pipe, fun boxes, and an array of jumps. The children’s ski school has a mini-snow park and offers a large variety of kid activities throughout the week. Snowmobile rentals, randonee ski touring, snowmobiling, sledging, hiking, mountaineering and dogsledding are also available. Termas de Chillán receives its best snow in July and August, however, the active geology makes this ski location beyond compare any time of the year. 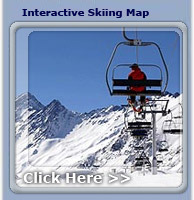 One of the best South America ski resorts. The active Volcan Chillan adds a unique geothermal excitement to this resort. The infamous Pirigallo Bowl, for example, is known for its sulfur scent and billowing clouds of steam that rise from fumaroles and mud pots, which dot the slopes. The thermal activity also creates the hot springs that inspired the ski resort’s world-class spa. Chile skiing does not get better than this! After your day of enjoying the skiing in Chile, relax at the resort’s famous full-service hot springs spa, including three hot spring pools (one indoor and one outdoor). The 120 room Gran Hotel provides heated common areas, restaurants, game rooms, conference facilities, bar, stores, hair salon, fitness gym, squash and tennis courts, and a children’s day care center. There is also the Hotel Pirigallo, with 48 rooms, a dining room, and a bar with an open-hearth fireplace. Here you will also find game rooms, a nursery, and another hot spring spa with an outdoor thermally heated pool. There are three complete ski shops, retail stores, a clubhouse, a chapel, and a cafeteria as well. Termas de Chillan is a ski Chile classic! The night takes on a new dimension of fun as the stars of the Southern Cross climb into the sky. You can view them from the hotel’s small astronomical observatory. A band plays though dinner and afterward you can dance or find a quite spot by a fireplace for a drink and cards. If you prefer a more active night out, head to the Pub/Discotheque located in the Hotel Gran. Here you can kick up your heels on the dance floor until the sun comes up.